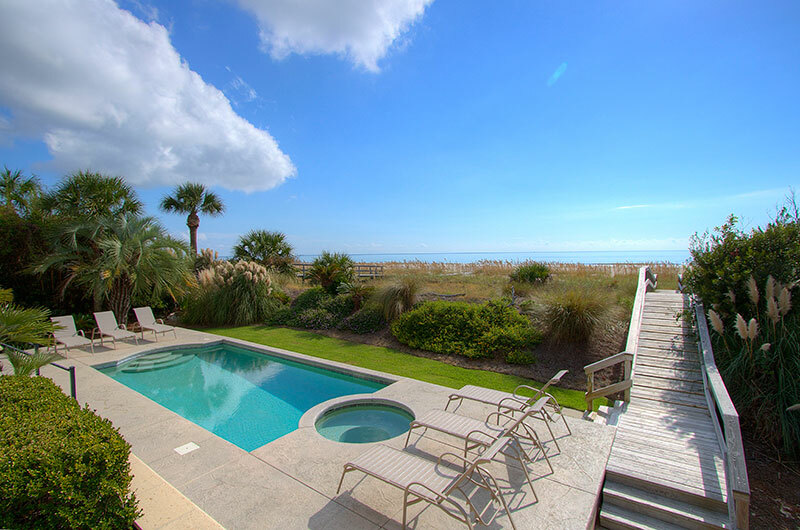 This special beach house provides five bedrooms and a large private den with sleeper sofa along with 6 ½ baths to comfortably accommodate 16 people. 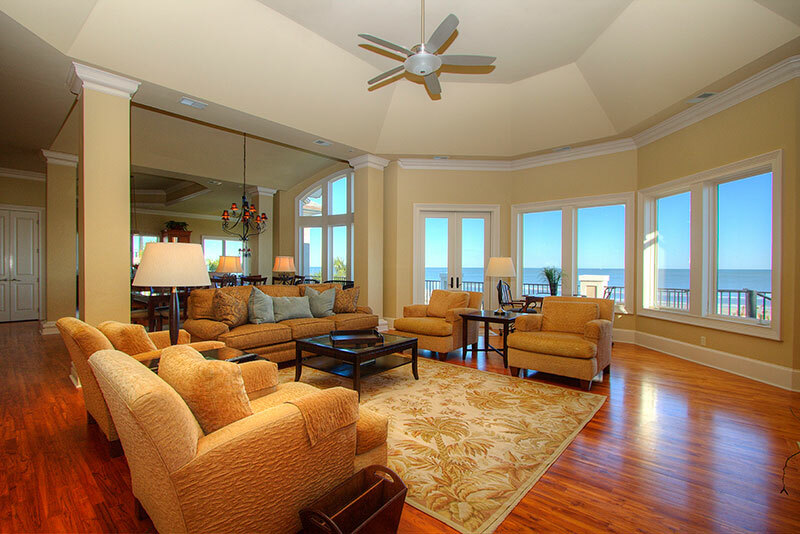 The interior design has just the right amount of understatement to be elegant yet comfortable and always with a thoughtful eye to the ocean. 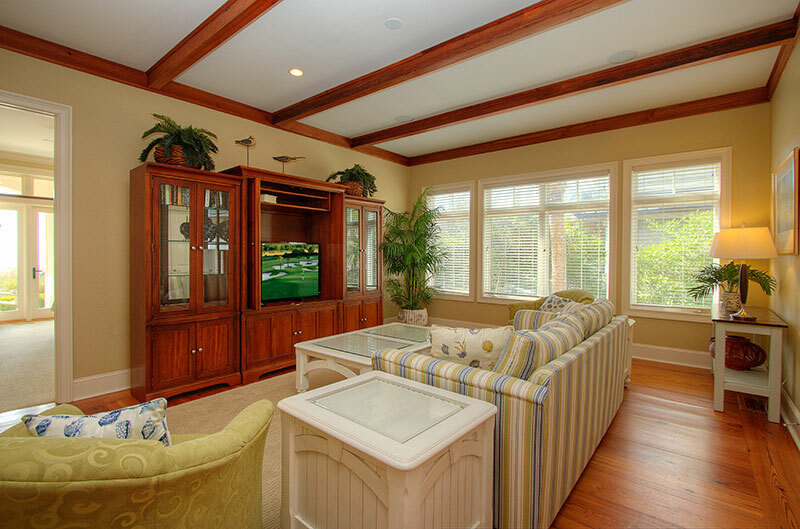 The 1st floor of this home features the perfect gathering area with a family room and fully equipped wet bar. 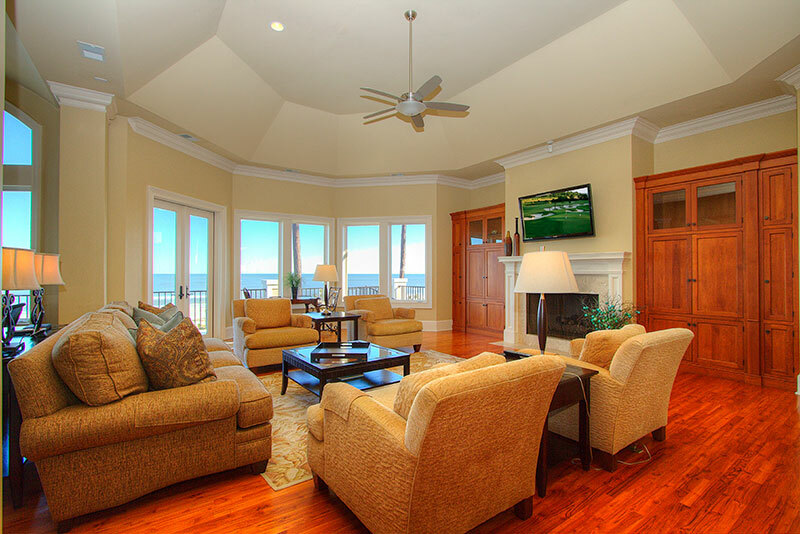 The family room has a sofa and two chairs that double as single sleepers, large screen TV, game table and chairs and ocean views, and the bar area has a refrigerator and bar stools at the counter. 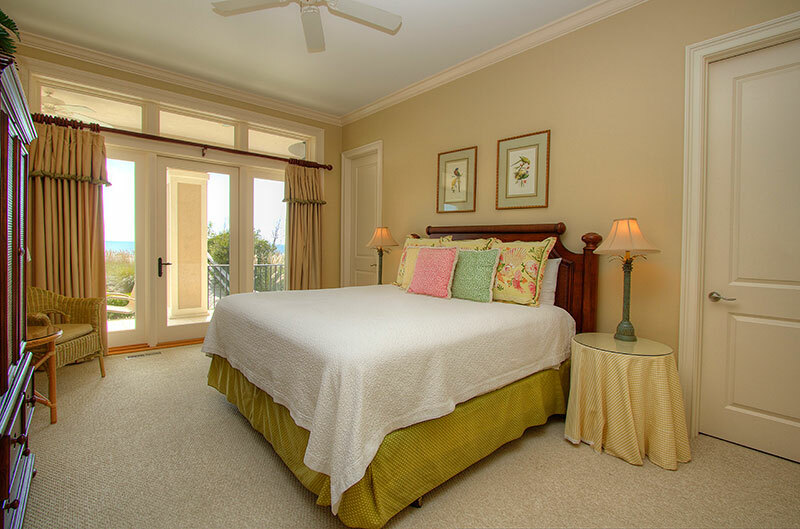 The bedrooms on this level include a king with ocean view and private bath and a guest bedroom with 2 queen beds and private bath with tub/shower combination. 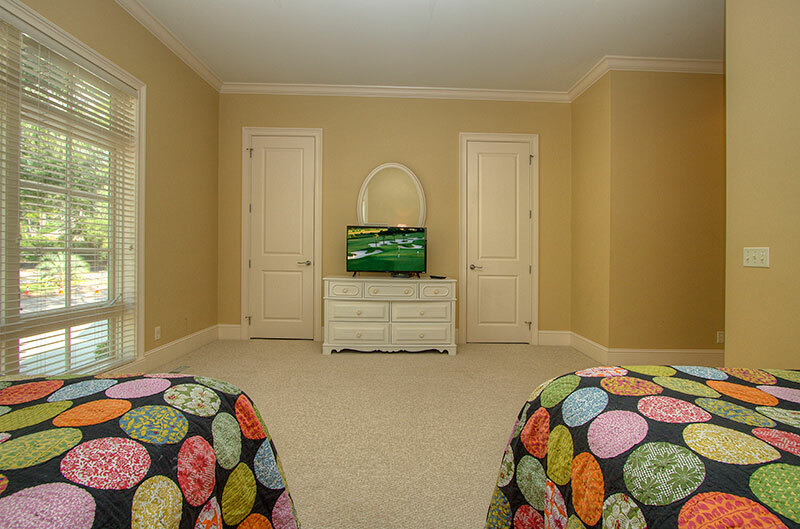 These two bedrooms are separated by a den with privacy doors, queen sleeper sofa and TV. 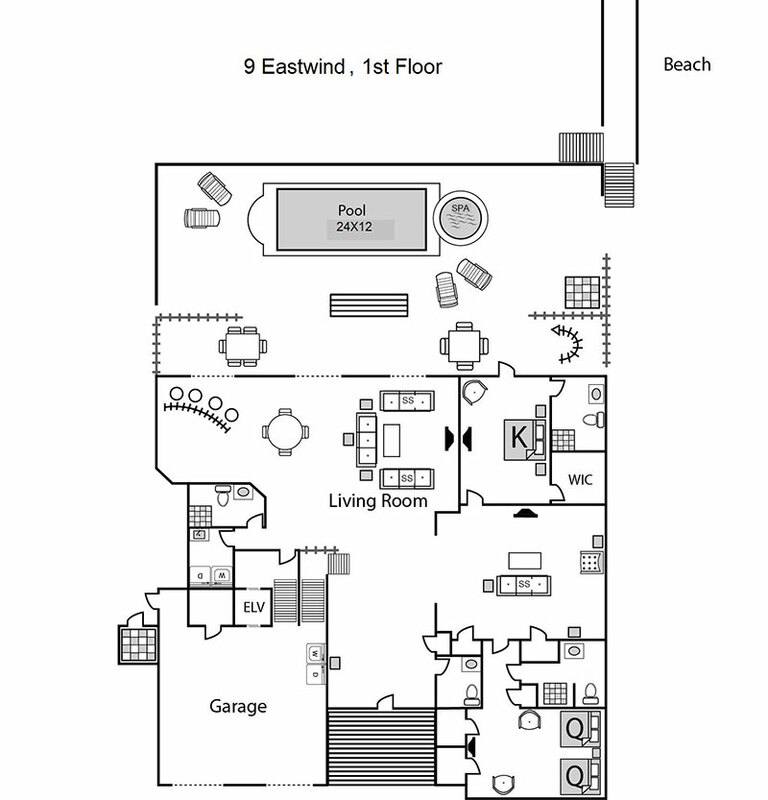 A full bath is located on this floor to serve the sleeper den and living room, and the laundry room is also on this level. 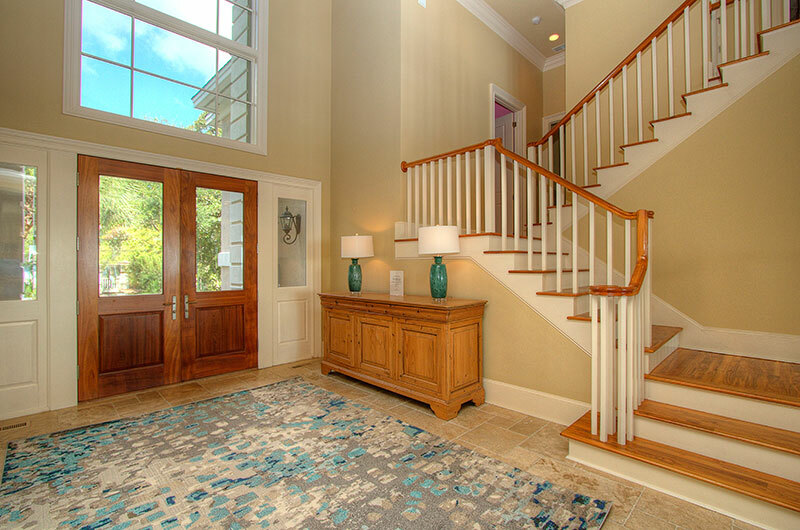 Halfway up the main staircase is a landing with two more bedrooms. 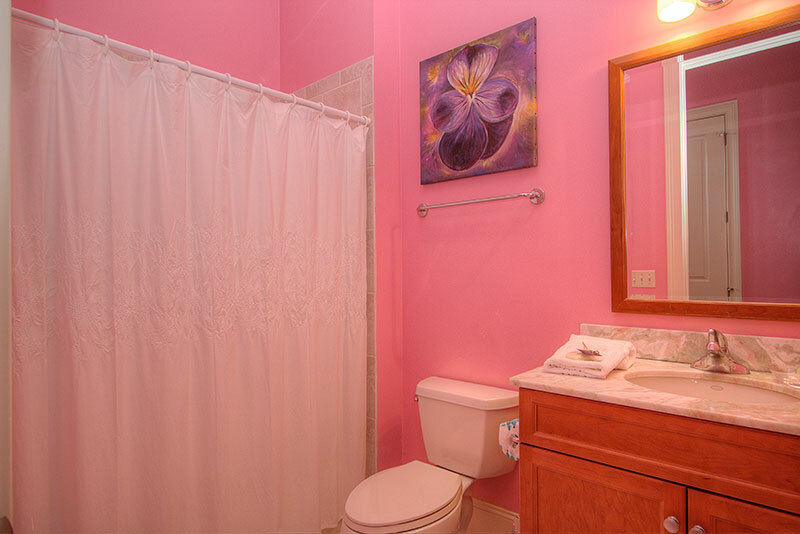 One is a queen bedroom with eye-catching pink walls and a private bath, and the other is a king bedroom with private bath. 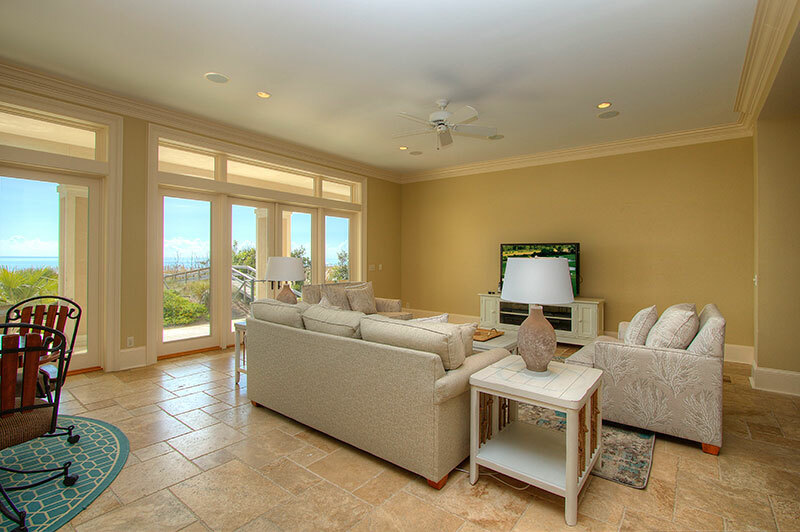 The remainder of the staircase takes you to the full second level that was designed to fully capture the ocean views behind the home and features a living room, gourmet kitchen with bar stool counter and adjacent breakfast area, formal dining room and furnished balcony overlooking the ocean. 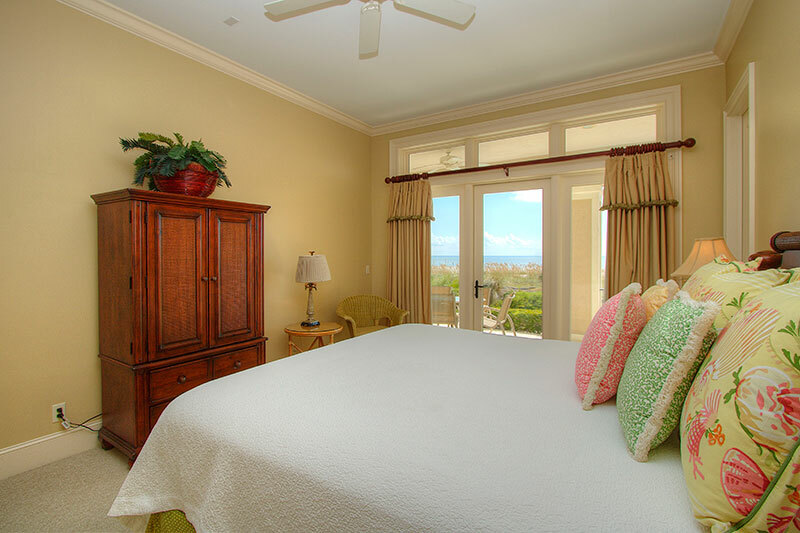 The second level bedroom is the Master suite with a private ocean view balcony and large master bathroom. 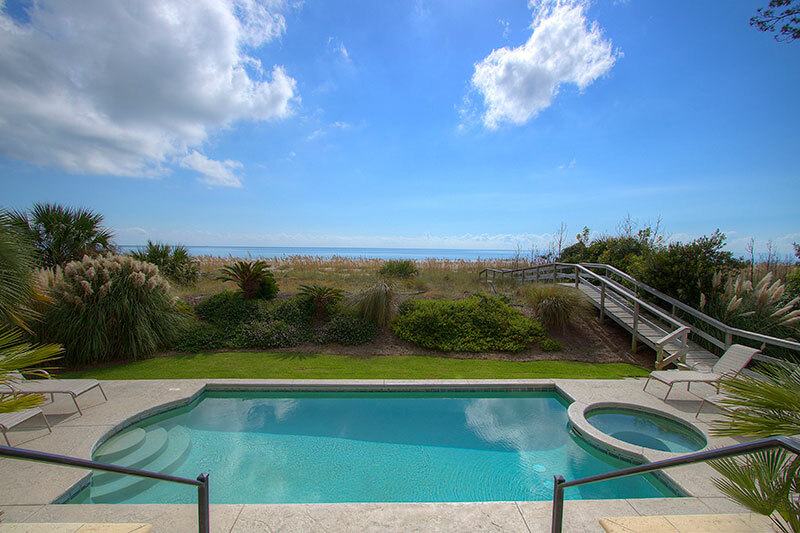 The oceanfront pool is 24x12 and features a Spa. 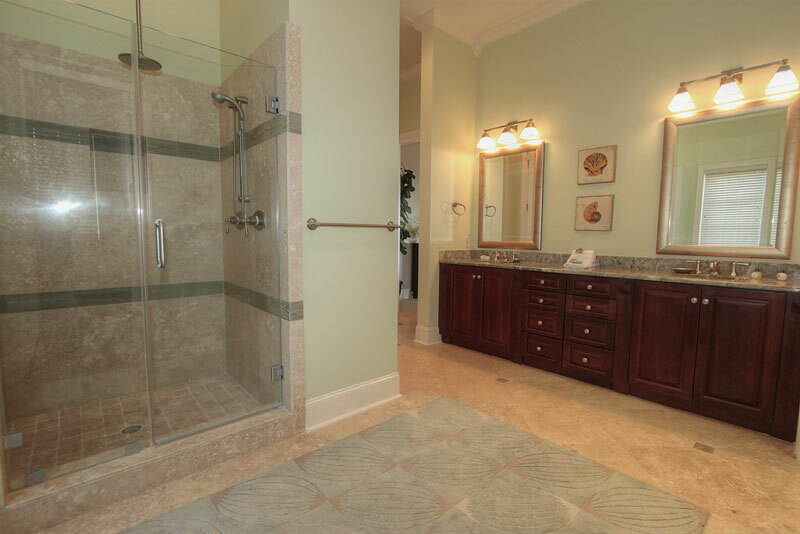 Spa heat is included with your rental and the pool can be heated for an additional fee. 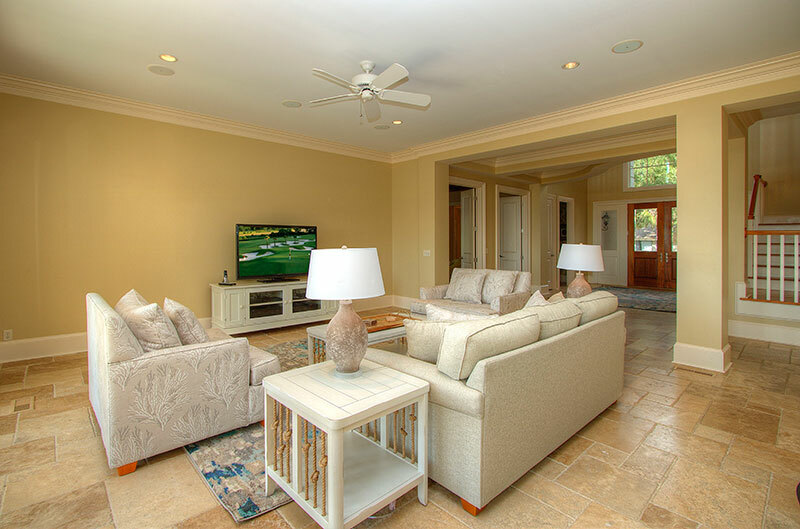 There are tables, chairs and a gas grill on the covered patio, and the sunny pool deck offers lounge chairs for the perfect vacation experience. 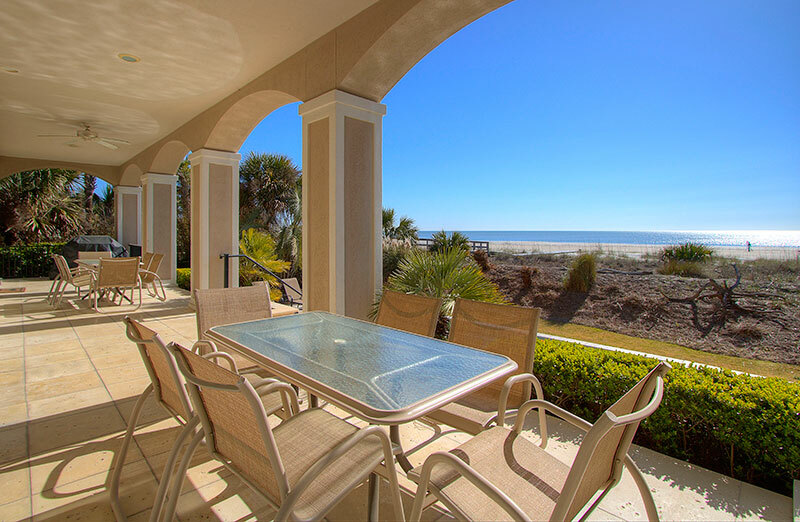 Palmetto Dunes is well known for its beautiful beaches and abundant activities and amenities. 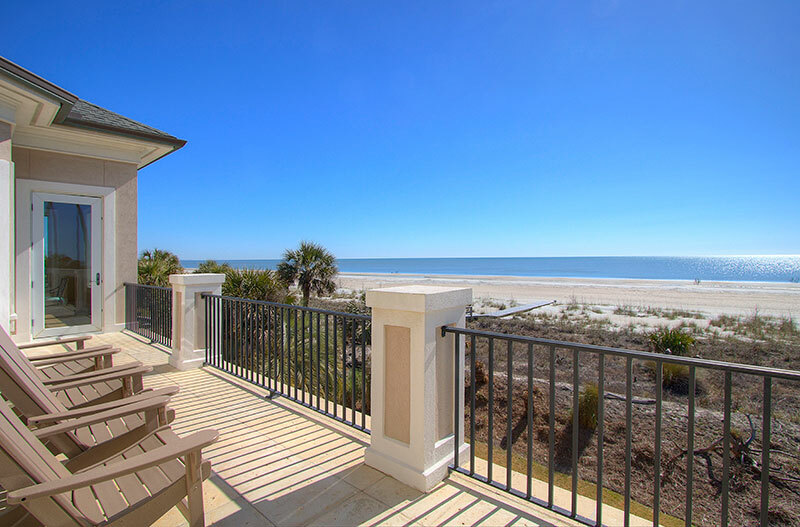 Some of the activities you can enjoy are navigating the 11-mile lagoon system by canoe or kayak, fishing or dolphin tours at the Shelter Cove Marina, biking along the miles of leisure trails, play tennis at the top-ranked Palmetto Dunes Tennis Center and enjoy three world-class golf courses. 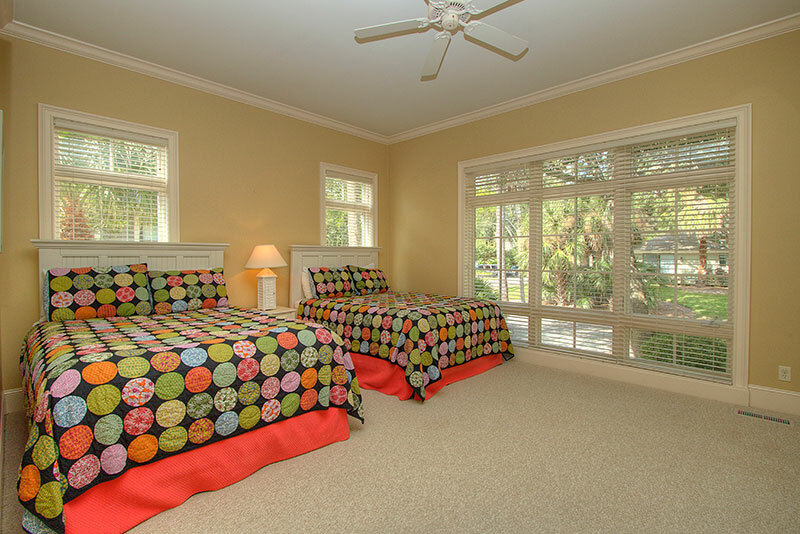 Our experience and accommodations met expections because we stayed at same house last year and loved it. We loved it this year equally as well and hope to reserve same house next year as soon as our grandchildren get school calendars to learn when is their spring break. 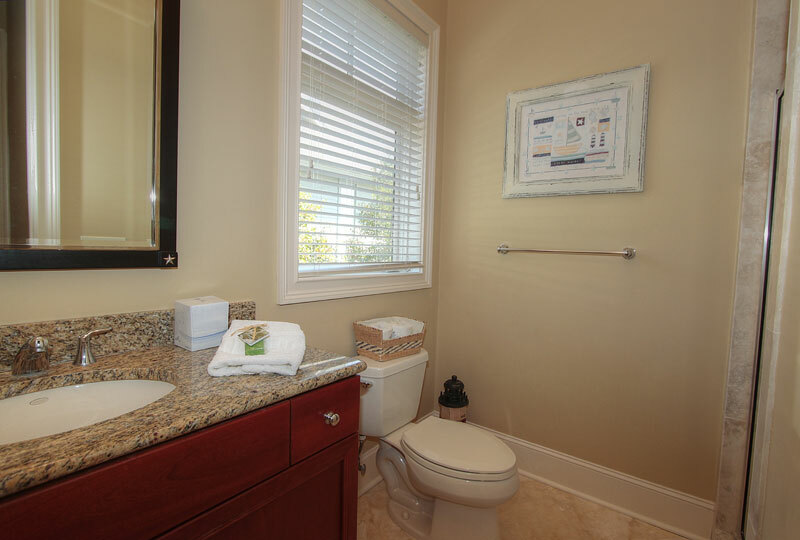 Location, amenities are the best. 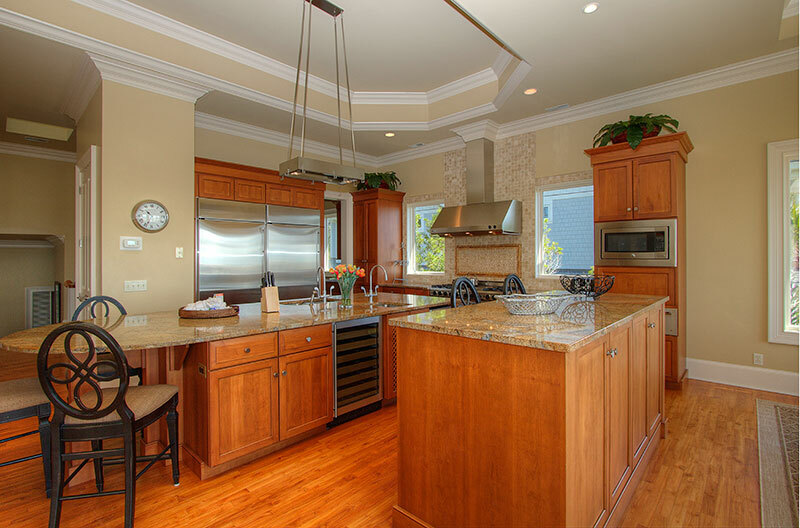 Kitchen is gourmet quality and fully supplied with all you coul ask for. We are most happy with DV. We plan to use DV for all our future rentals. They are the best. We have been coming to HH for more than 20 years. 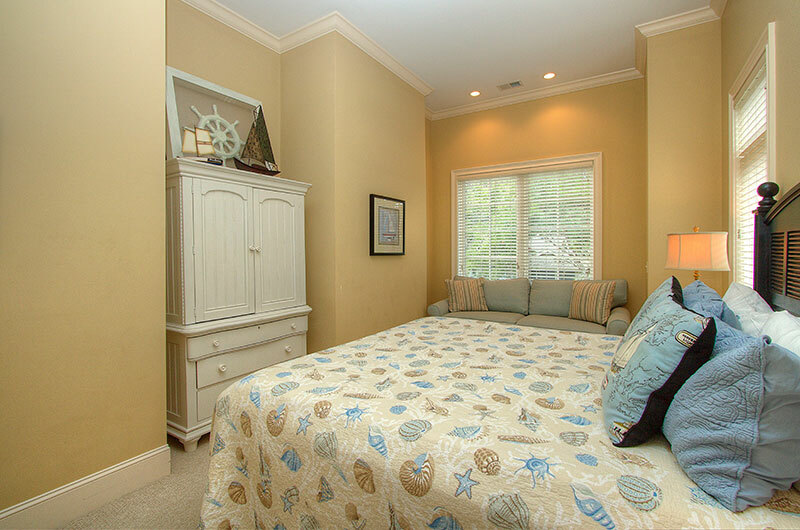 9 East Wind is a great vacation home. We have been renting homes on HH for 20 years. This is the our best experience. 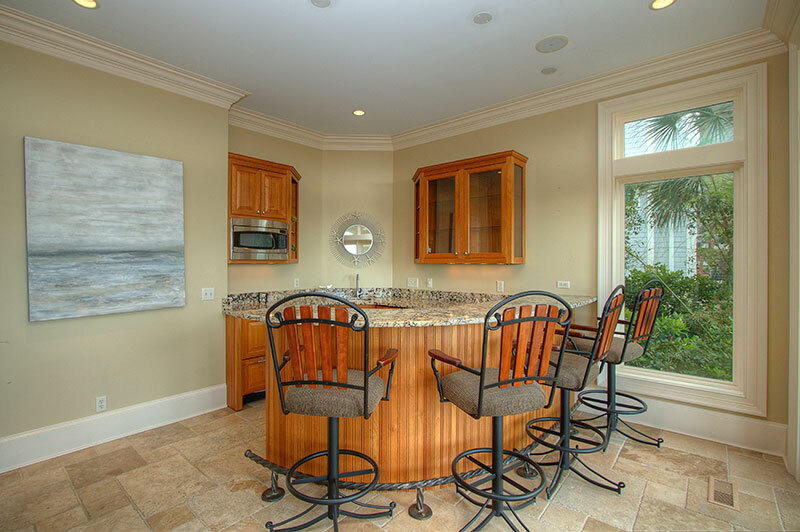 Wonderful kitchen for gourmet cooking, fully equipped, and spacious. We had a couple of minor service issues that were handled immediately. 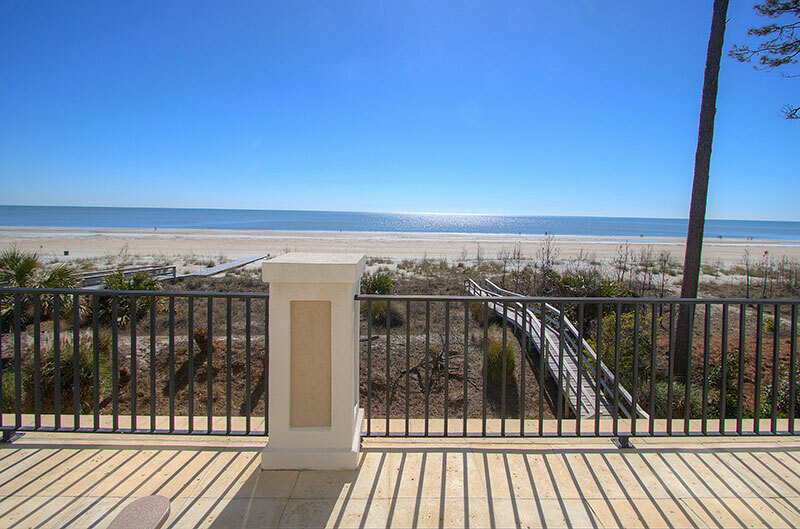 Location and ocean views are the best on HH. We hope to rent same home next year. We had a fantastic time at 9 East Wind. We created more lasting memories here. This home and our first stay here at Christmas time in 2013 is the reason we decided we wanted to build and retire here at some point. We can not thank you enough for how kind you have been to us. The memories are priceless. Destination Vacation has something special going on and it starts with the people. Thanks much Gail. The property is ready for the season. Really in great shape. Thanks again. Guest: Gail and Winston T.
We loved the home. The view was outstanding. Waking up in the morning and seeing the ocean while we ate breakfast was wonderful. The house was clean and well kept. Our grand-daughter loved the pink room. We felt that we received excellent service from Destination Vacation and would definitely use Destination Vacation in the future. 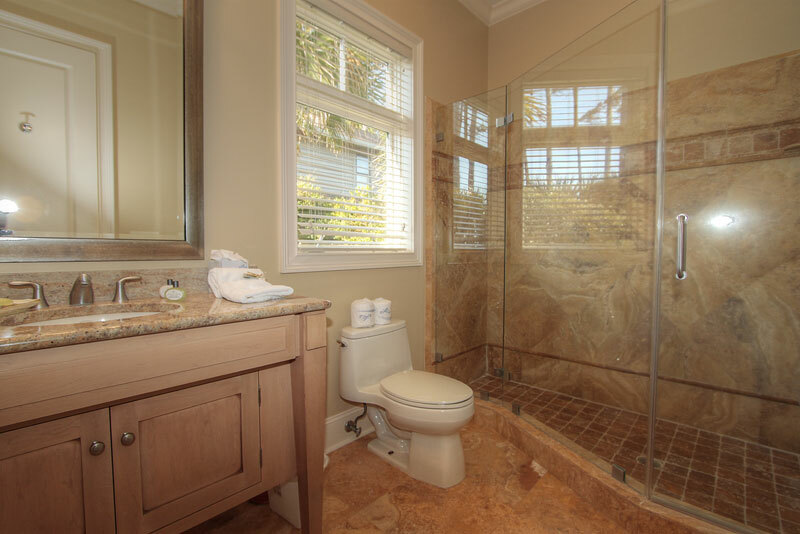 I indicated that the rental and service met expectations. I expected both to be excellent and they were. 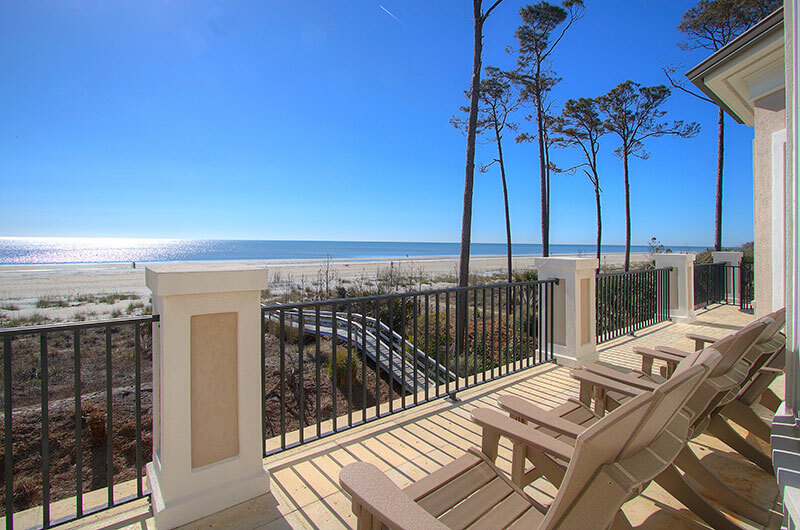 9 East Wind is the best property we've ever rented in the Hilton Head. Your staff was extremely responsive to our needs and was much appreciated. 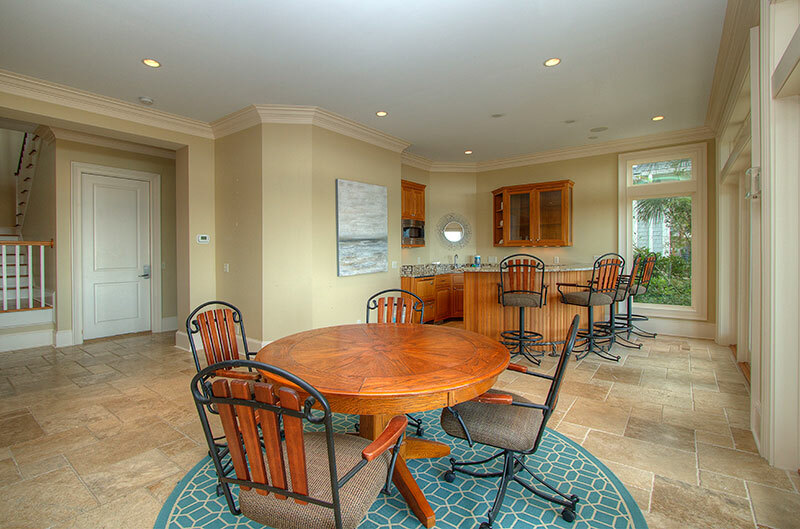 Our rental on east wind was well stocked with everything needed to cook a home cooked meal. 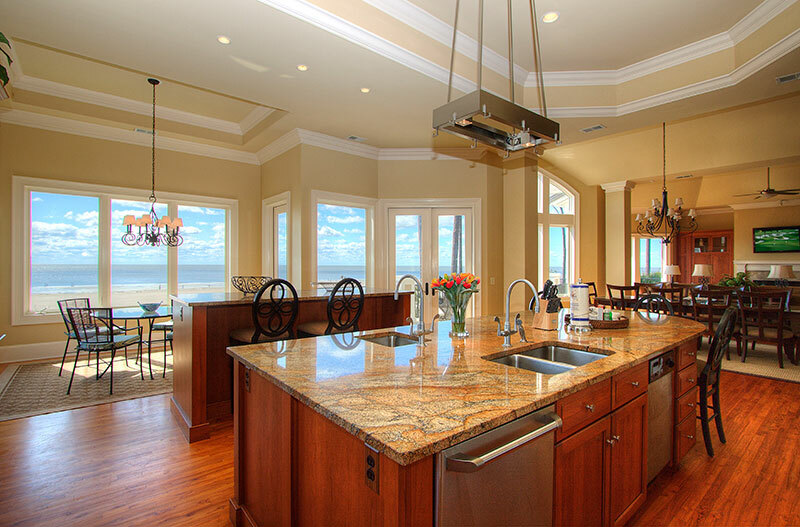 The house was clean and professionally decorated. 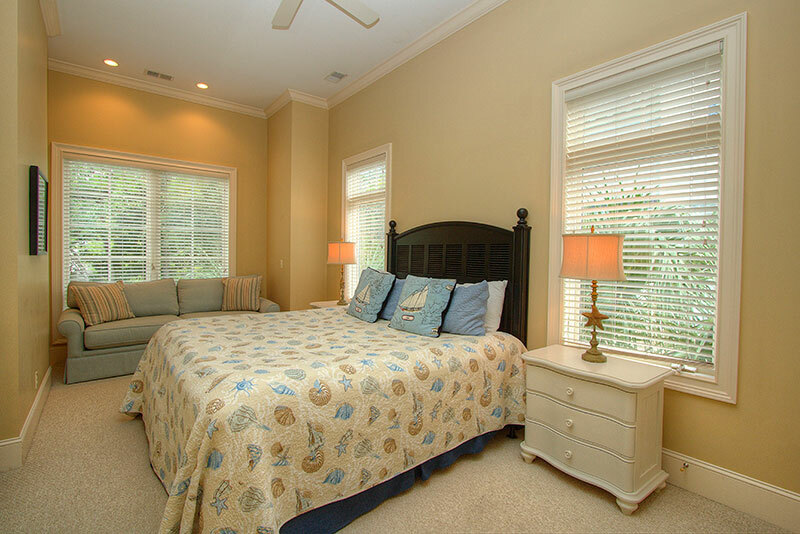 Guest: Bill and Cathy K.
9 East Wind is truly amazing. 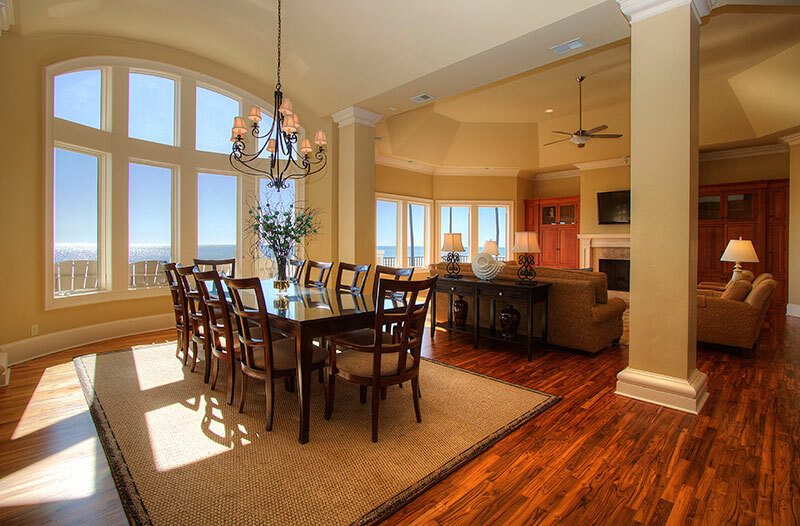 The home was spotless and the panoramic view from all the large windows is breathtaking. 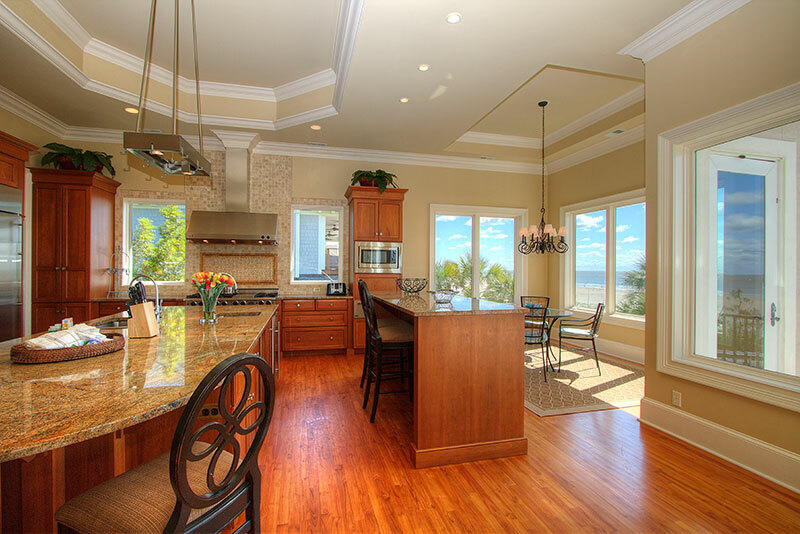 The home is beautifully decorated and the gourmet kitchen and living areas were even more pleasing than the pictures. 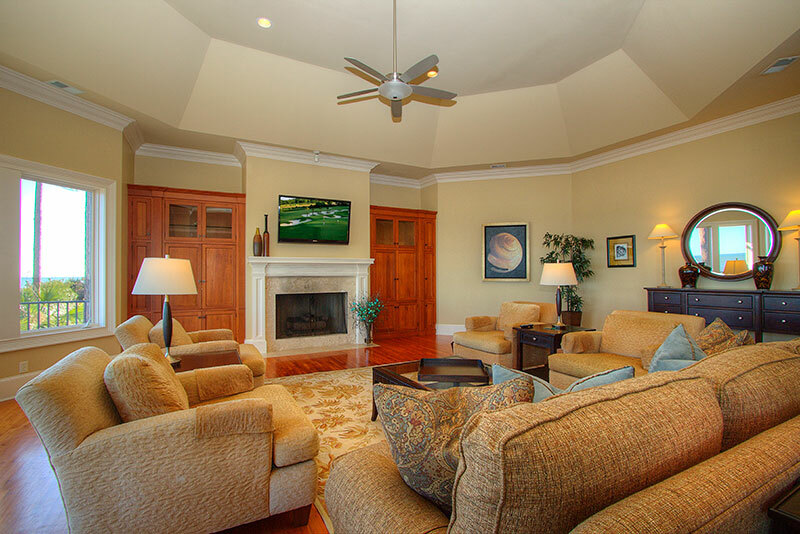 The location within Palmetto Dunes is simply ideal. Thanks to the owner and Destination Vacation for making the week one that will not be forgotten. 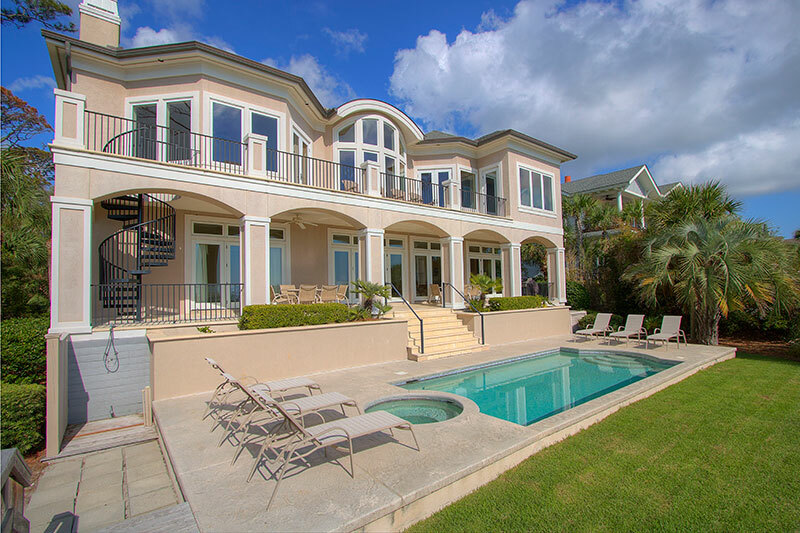 This home will be our 1st choice when returning to Hilton Head in the future. 9 East Wind served as the perfect house/home for our family reunion. 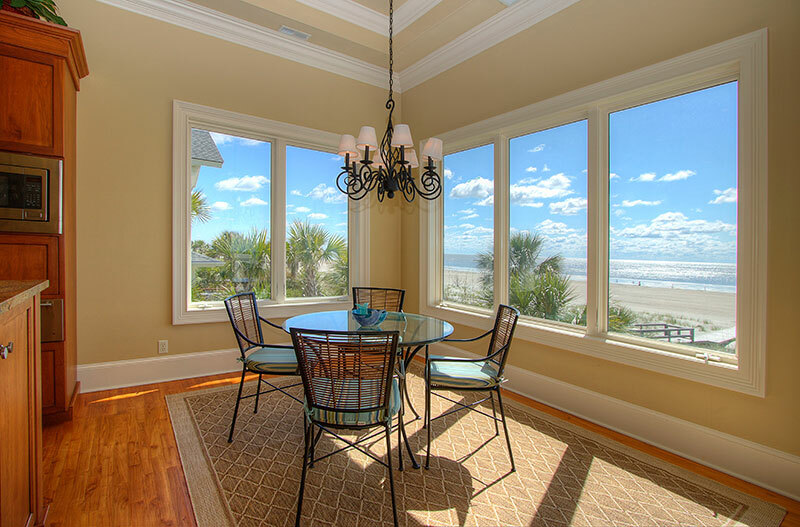 Destination Vacation was so helpful in guiding us in booking this home for the configuration of people we had attending the reunion and it could not have worked out any better. 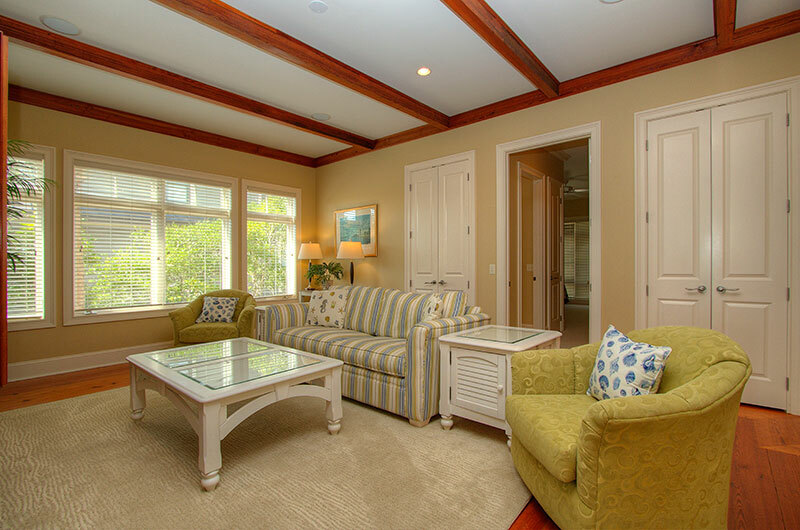 The home was well constructed and beautifully decorated with large common areas. The photos do not do this home justice. The sleeping den was such a lovely room with access to a full bath. 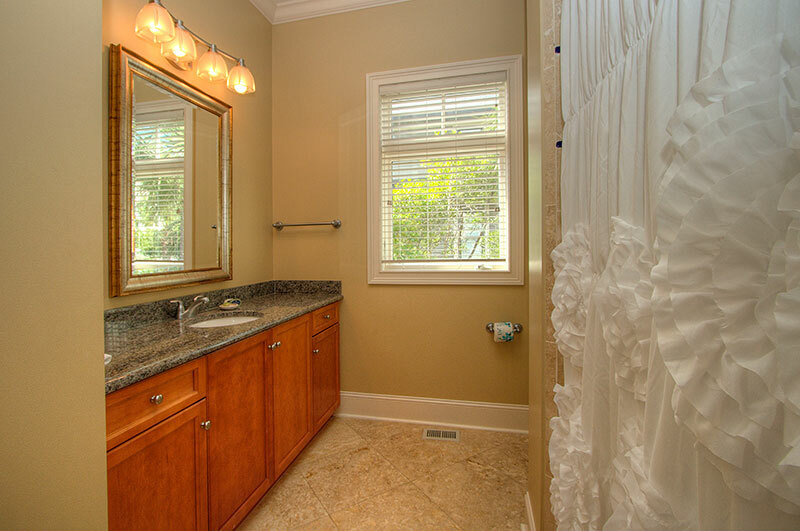 There was 1/2 bath up and 1/2 bath down. The coffee station/butler pantry off the kitchen was a nice surprise and well used. 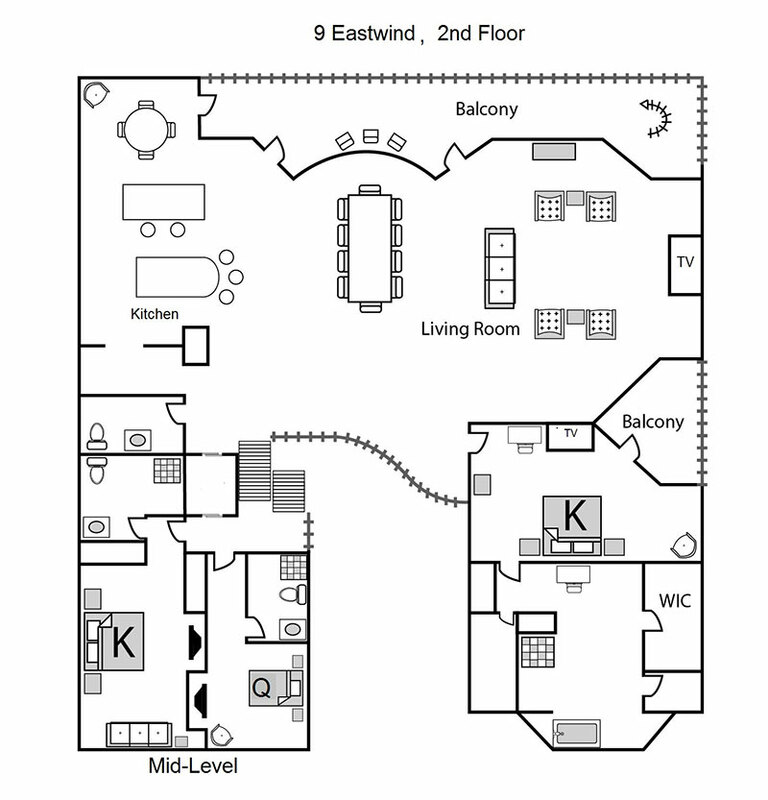 The two sets of laundry facilities were an asset. The location in the area of Palmetto Dunes was wonderful with no public access nearby so we had our own private beach. The natural dunes and turtle nesting areas were delightful. The California relatives could not believe they could run right into the ocean without a body suit to keep them warm. 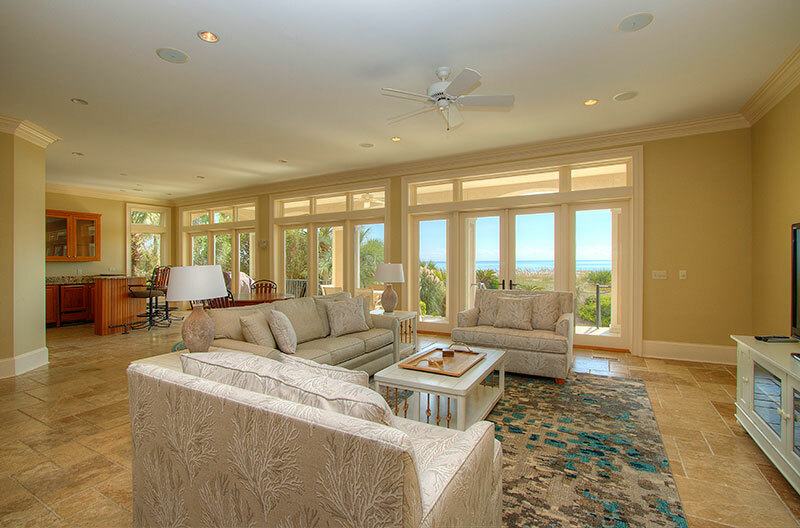 We loved how the house was positioned behind the beautiful dunes taking advantage from every area of the house to capture unobstructed ocean views. 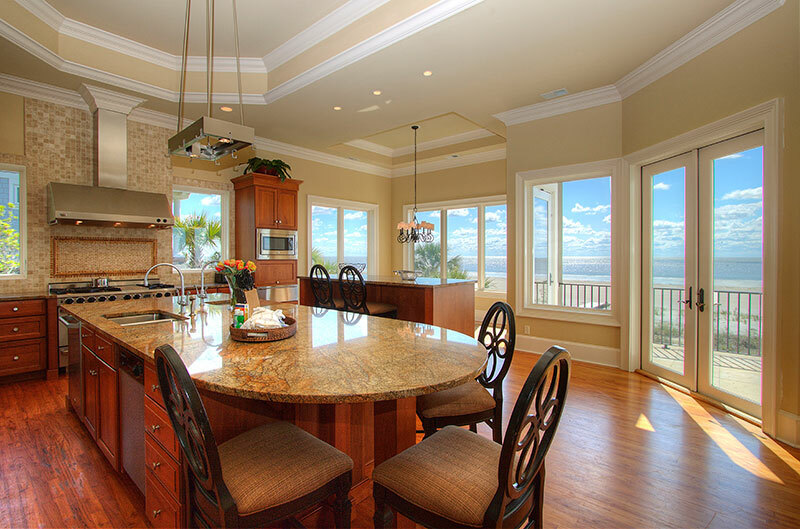 For improvements I would upgrade the table at the bay window in the kitchen and add another full size refrigerator in the butler's pantry. 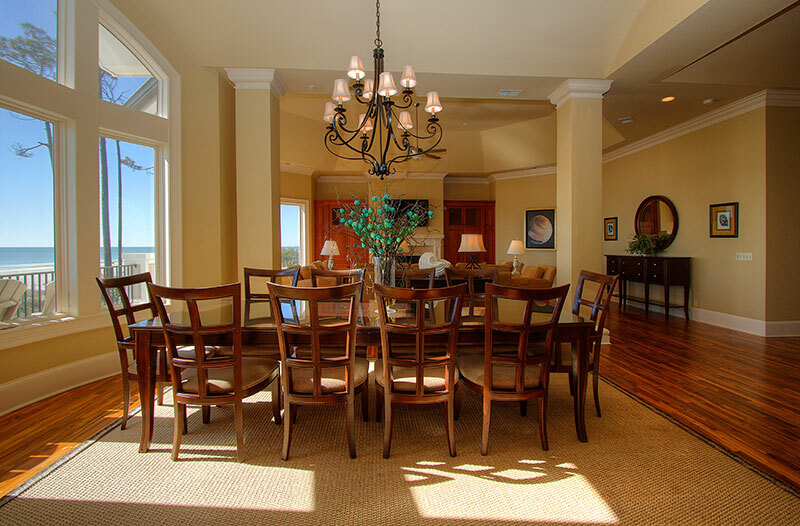 Thanks to the owner of this beautiful property for helping loved ones and friends have a wonderful place to gather - this must bring great joy to you. "Best House on the Beach"
This house was ideal for our family vacation. 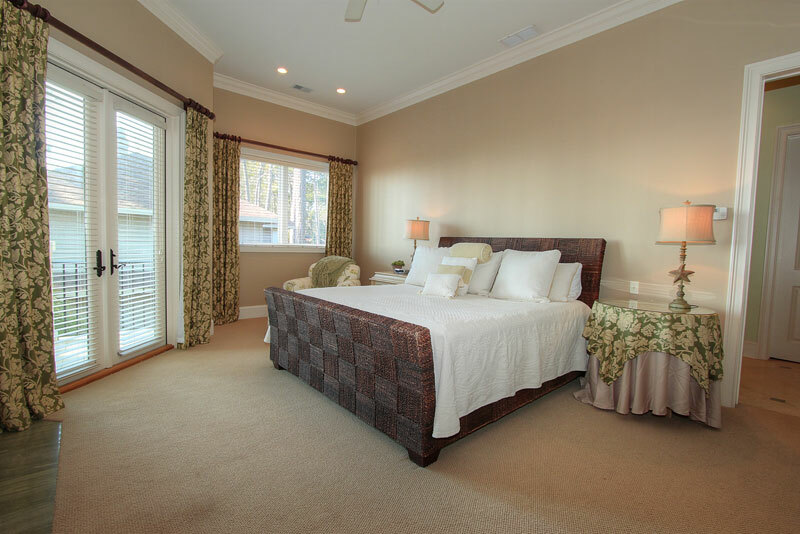 Ranging in ages from 23 to 92, the quiet location, easy access, and the tremendous house that provided everything you could possibly need was perfect. Destination Vacation was absolutely fantastic throughout. 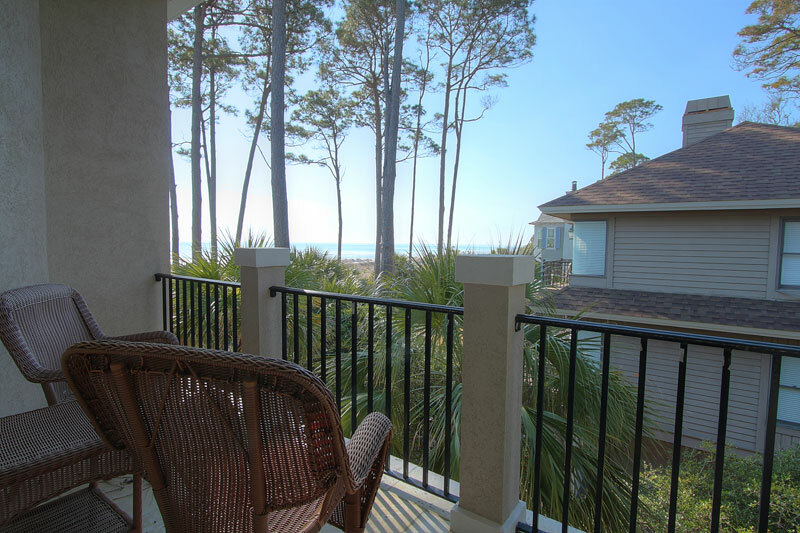 The home is very well maintained, has every amenity, is located on a quiet section of the beach and is easily assessible in Palmetto Dunes. We hope to come back every year.